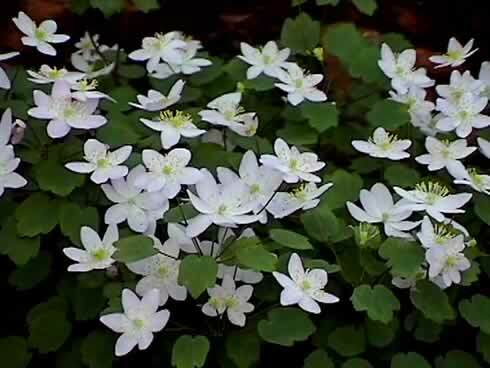 A fine plant with delicate white to pale pink flowers above Thalictrum-like foliage. A super perennial which produces Thalictrum-like leaves numbering up to 9 per stem. Leaf petioles arise directly from the tubers which lie just below the soil surface. Leaflets are rounded, slightly serrated and deep green in colour. Flowers are cup shaped, somewhat delicate in appearance but resilient enough to last for several weeks, even in poor weather. Flower colour is usually white but occasionall a pale pink colour may appear. Each stem may carry up to 4 flowers which tend to open in quick succesion. Best suited to a shadier area of the rock garden or a woodland situation.